I love boardgames, and zombie games - so I decided to have a go creating my own. Heavily inspired by “Zombies!” and “Pandemic”, I wanted a collaborative game that had very simple actions with large consequences (making it suitable for an Apple TV port if desired). Overall: You’re in the centre of a random 5x5 maze of tiles. Tiles have blockades, and are revealed as you move over them. Zombies spawn, move, and become hordes. You and your team-mates have different abilities and can attack zombies. You win only when you find all 4 fuel-cans scattered throughout the maze, and make it to the helipad. 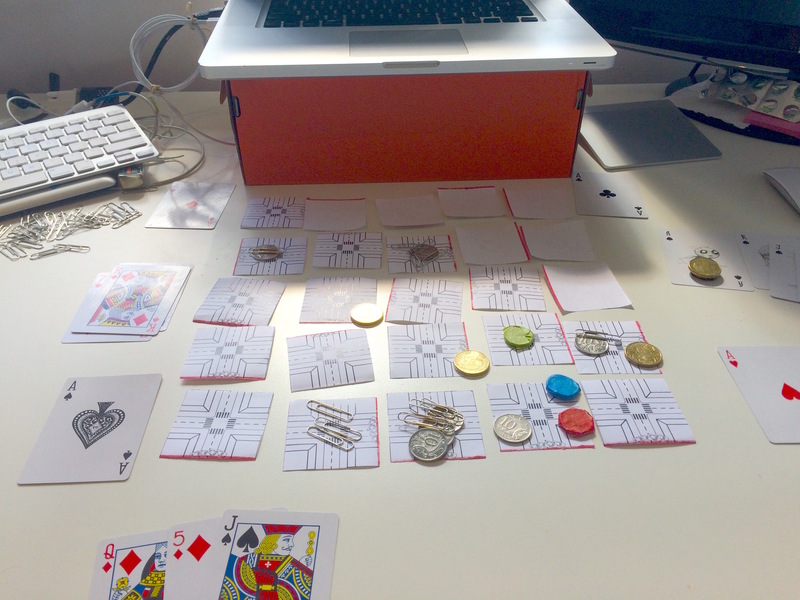 Prototyping: Unlike with software, it helps to have a plethora of physical tools (stationary, cards, dices, coins, etc. ), to create new artifacts. It allows rules and entities to be thought of in 3D space, and allows the parametres guiding them to be altered instantly to test different gameplays. Right now the game’s flow-states are well optimised for 3 characters, and lasts 40-60 minutes. It needs more tweaking to adapt to a larger range of players. The process involves a lot of trial and error, but it has been so much fun testing on myself and others.